Lorelle Ann Solanzo Peros is a very busy individual wearing many hats. 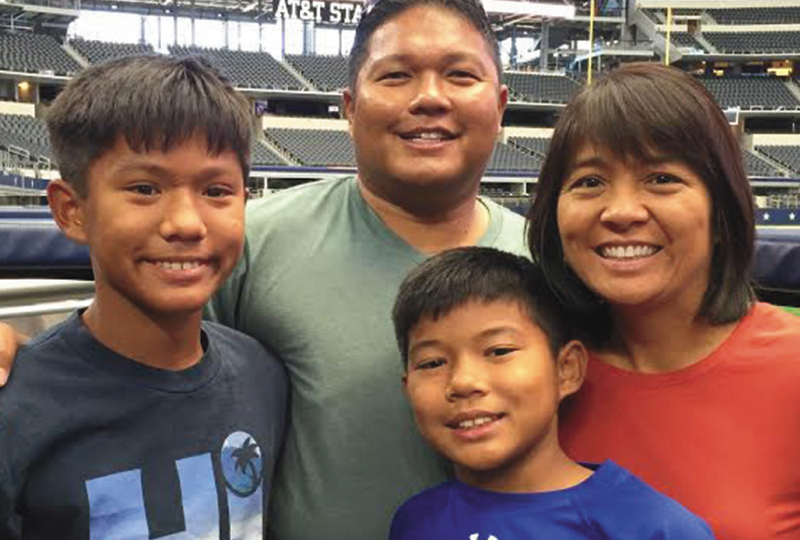 She is a UHMC (University of Hawai‘i-Maui College) instructor, a wife, and a mother of two boys. She was born Lorelle Ann Solanzo on April 1, 1970 to Loreto and Cion Solanzo of Lahaina. She is married to Jay Peros. They have two sons, Jeremy (14), an 8th grader, and Jarred (11) a 6th grader. Both boys attend Maui Waena Intermediate School. Lorelle was born on Maui and grew up in Lahaina. Her parents lived in Pu‘ukoli‘i Camp and then moved to Kelawea Mauka in 1971. 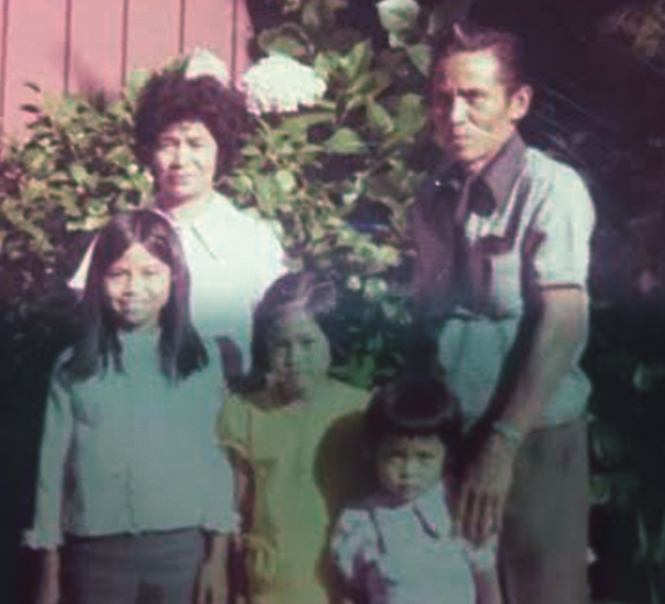 Her oldest sister, Janet and middle sister Lorna have memories of living in Pu‘ukoli‘i but Lorelle was just a baby when her family moved from Pu‘ukoli‘i Camp. 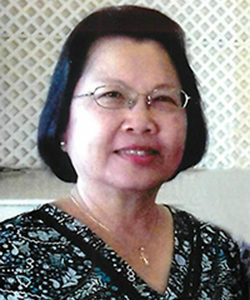 Lorelle attended Kamehameha III School, Lahaina Intermediate, and Lahainaluna High School where she graduated as class valedictorian. After high school, she attended the University of Hawai‘i at Mänoa and earned a Bachelor of Business Administration in Travel Industry Management and a minor in Speech. During her junior year in college, she went to Northern Arizona University as an exchange student. She was the only one at U.H. who went to NAU that year. The others had gone to California and schools in the East Coast for the exchange program. She earned a Master in Business Administration Degree at the University of the Pacific in Stockton, California in 1998. While she was in graduate school, she had the opportunity to travel to Chile for an international business class. Loreto Solanzo, Lorelle’s Dad passed away when Lorelle was only 12 years old. Her sisters were 16 and 18 years old. Her mom, Cion was faced with a challenge how to support her three daughters’ schooling. Lorelle was in high school, and Janet just started her first year in college. However, with the grace of God, Cion was able to support her daughters. All three received their college degrees. Lorelle received the U.H. Board of Regents Excellence in Teaching Award in 2007 and the Francis Davis Award for Excellence in Teaching in 2006. In 2009, Lorelle had her first trip to the Philippines with UHMC faculty members Debbie Nakama, Cyrilla Pascual, and community leader/Kabalikat Advisory Council Chair, Erlinda Rosario. The intent of the trip was to secure Memorandums of Intent/Agreement with higher education institutions in the Philippines such as Mapua Institute of Technology and Mariano Marcos State University. They returned there in 2012. Memorandums of Intent focused on the areas of student, faculty, and academic exchanges. Lorelle also had the opportunity to teach abroad and taught at Shanghai Normal University (SHNU) in 2010. Lorelle is currently Co-chair for the Academy of Hospitality and Tourism, Lector and Eucharistic Minister at St. Anthony Church, and was previously part of School Community Council (SCC) for Pömaika‘i Elementary School. 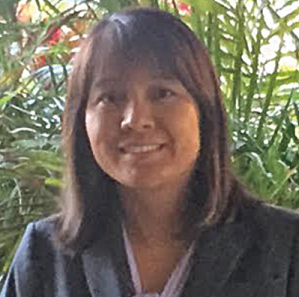 At UHMC, Lorelle is co-chair for the Curriculum Committee, advisor for Hui Ho‘okipa Club, member for system-wide committee for Student Equity Excellence and Diversity (SEED), and member of International Education Committee. Jeremy and Jarred, Jay’s and Lorelle’s sons are actively involved in sports/school activities. Even with their busy schedule, Jay and Lorelle always attend and support the boys at baseball and basketball games as well as concert practice and performances.